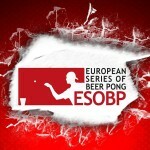 This past 4th of July weekend, while we here in America were celebrating our freedom with fireworks, recreational pong games, and more, our friends over in Munich, Germany, were hard at work as 144 teams from 14 countries battled it out at the very first European Series of Beer Pong (ESOBP)! 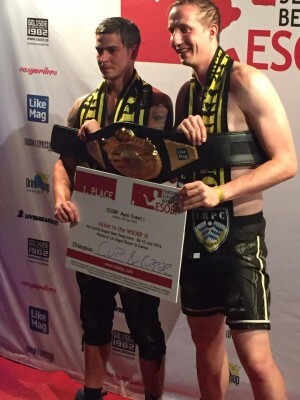 The ESOBP prize included: ultimate respect, a badass title belt and a trip to the United States to compete for $50,000 at The World Series of Beer Pong XI (July 6-10, 2016), inside the brand new event space at The Westgate Las Vegas Resort and Casino. With nearly 300 participants in the building, hours of play ensued and eventually “Cup & Cupper,” Kevin Keenan and Christoph Vogel, toppled “MAC,” Michl Neubauer and Christian Rudat, for the European crown. Although the game went into overtime, in the end “Cup & Cupper” proved to be too much for “MAC” as they knocked down 3 straight cups to etch their name in the first chapters of the ESOBP history book! 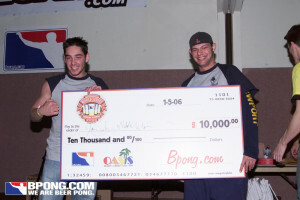 BPONG can’t wait to welcome “Cup & Cupper” to The World Series of Beer Pong XI! Will “Cup & Cupper” be our first-ever international champions? !